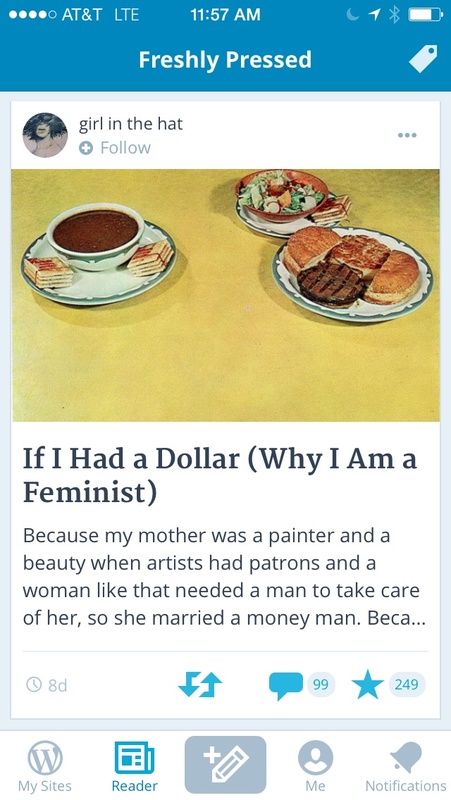 WordPress.com Apps - WordPress for iOS: New Visual Editor & More! 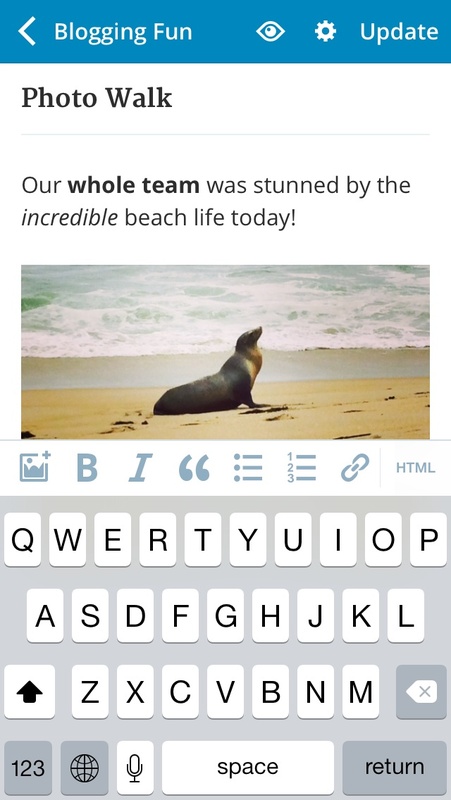 WordPress for iOS: New Visual Editor & More! 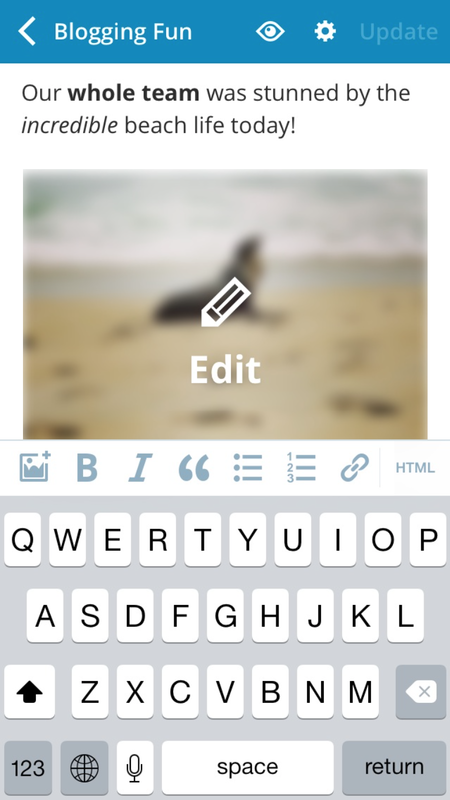 WordPress for iOS version 4.8 comes with exciting editor and navigation enhancements. We’re thrilled to announce that the 4.8 release includes a beautiful new visual editor. With the new editor, you can add rich text like bold, italics, links, and lists naturally as you type. You can also insert images with a tap, seeing real-time uploading progress and images right in the post. 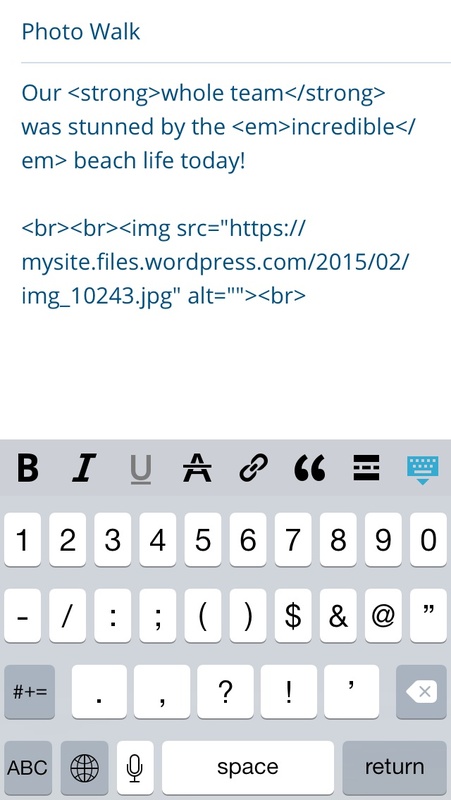 Both app users and WordPress developers have long wished for a “what you see is what you get” (WYSIWYG) editor on iOS. 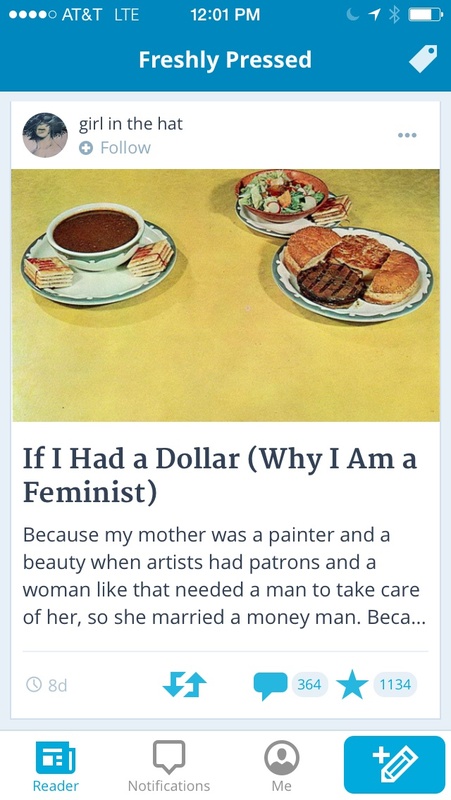 Until now, a rich mobile editing experience on the iOS app was reserved for those who felt comfortable with HTML. But not everyone is comfortable with coding, and few find it convenient to use code on a mobile device. The visual editor removes this technical friction and makes creating and publishing content on the go simpler. No code necessary! The new editor interface has been streamlined for the most frequently used functionality. For our coders, poets, code poets, and folks that want to add more custom elements to their content, the new editor comes equipped with an HTML toggle. Hop over to the HTML view to add more complex styling like headers, <!-–more–->, shortcodes, and single-line spacing. The visual editor also comes with more robust image settings. 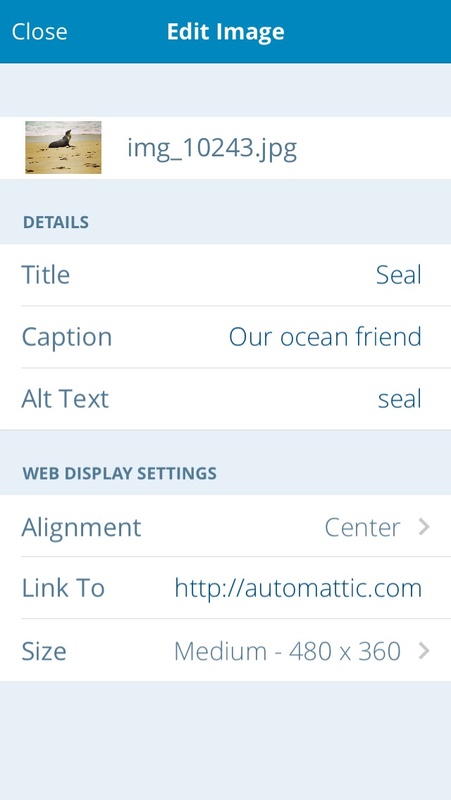 Editing image title, caption, alt text, alignment, link, and size is just a tap away while you’re writing. Managing your sites and managing your account are two different tasks, so in 4.8, we unpacked site management into its own top-level navigation tab called “My Sites.” The “Me” tab is still the home of account settings and the go-to place for extra support! Like with any big changes to the interface, the new navigation may jiggle your muscle memory a bit, but once you get a feel for it, the new tab will smooth out navigation and give you faster access to all the features you love. Thanks to all of the contributors who worked on this release! You can keep up with the development progress for the next version by visiting our 4.9 milestone on GitHub.